Leobuster (g, 5yo), Housebuster – Leotive by Our Native. 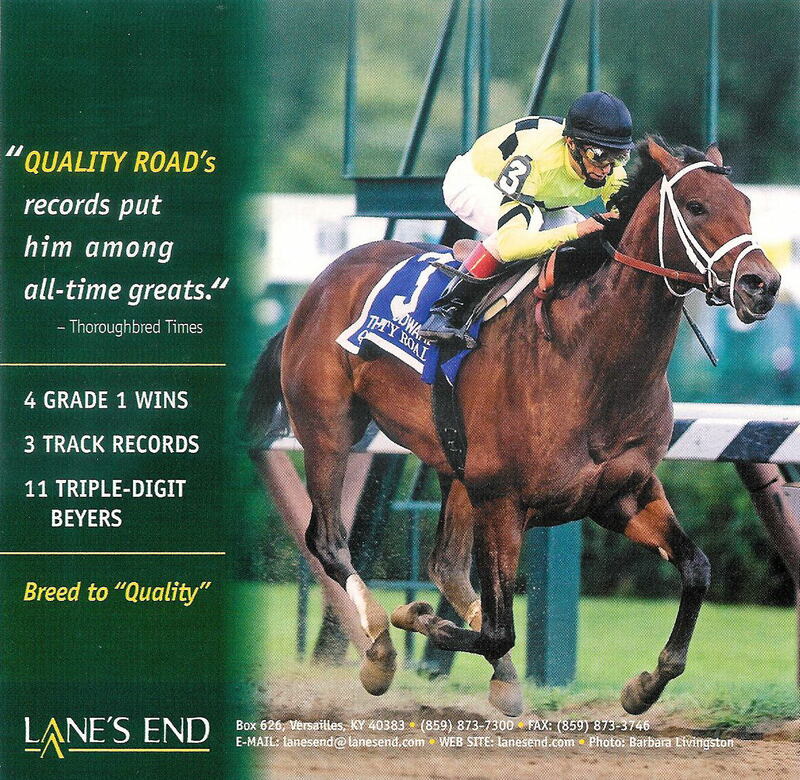 B – Noffsinger Glenn R. Dr. Charles Town, 12/22/2010, str alwc, $12,000, 7 f, 1:26.28. Sin And The City (c, 4yo), Speightstown – Sincerely by Meadowlake. B – Larry Johnson. 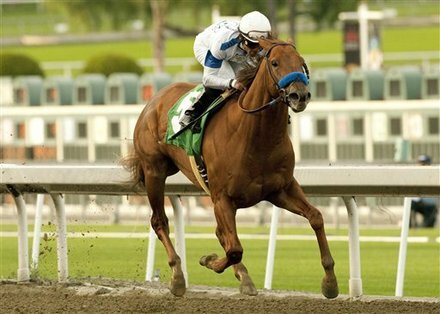 Parx Racing, 12/20/2010, clmg, $16,800, 6 f, 1:10.40. 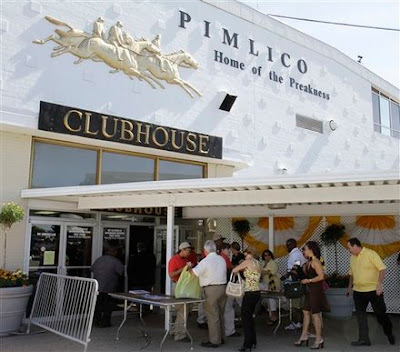 Laurel Park and Pimlico Race Course will conduct 146 days of racing in 2011, the same number that was scheduled for this year, after the Maryland Jockey Club and its owners, MI Developments and Penn National Gaming, worked out an agreement with the Maryland Thoroughbred Horsemen’s Association (MTHA) and Maryland Horse Breeders Association (MHBA) at a Wednesday, Dec. 22, morning meeting in Annapolis with Governor Martin O’Malley. 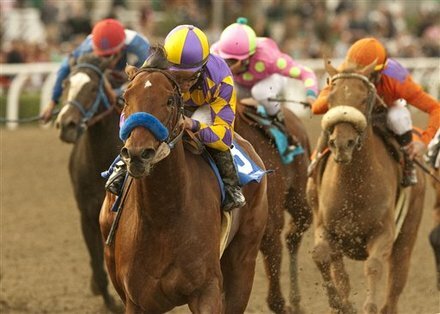 In a photo provided by Benoit Photo, Swith and jockey Joel Rosario win the Grade I, $250,000 La Brea Stakes horse race Sunday, Dec. 26, 2010, at Santa Anita Park in Arcadia, Calif. 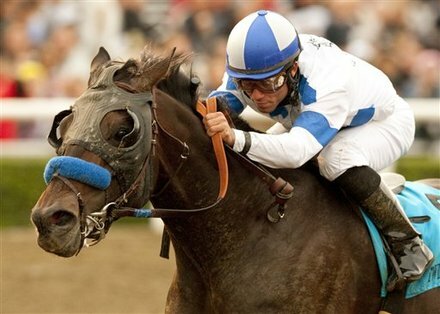 In a photo provided by Benoit Photo, Twirling Candy, with jockey Joel Rosario aboard, wins the Grade I, $250,000 Malibu Stakes horse race on Sunday, Dec. 26, 2010, at Santa Anita Park in Arcadia, Calif. 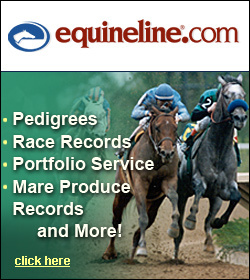 According to rumors out in the horse community and now the Baltimore Sun, Maryland Governor Martin O’Malley brokered a last-minute deal between the owners of Maryland’s two major thoroughbred tracks and the horsemen and breeders to guarantee live races next year — less than 24 hours after a state commission rejected a proposed schedule. Sources say the deal was made at an emergency meeting this morning. By Frank Petramalo, Executive Director, Virginia H.B.P.A. 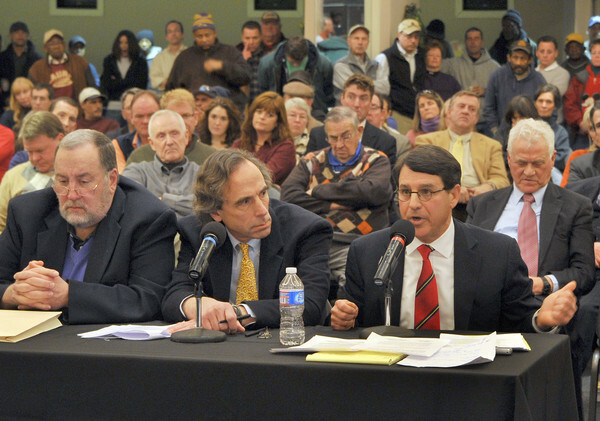 I attended yesterday’s Maryland Racing Commission meeting at Laurel. The Commission rejected the MJC/PNG revised request to race 146 days in 2011 (the same schedule as this year) because of the conditions imposed by MJC/PNG. MJC/PNG in effect wanted a guarantee they would not lose money by running 146 days. This year they lost about $5 million doing so. Beebee’s Kitten (f, 3yo), Parker’s Storm Cat – Little Miss Beebee by Spartan Victory. B – Sandy Valley Farms. 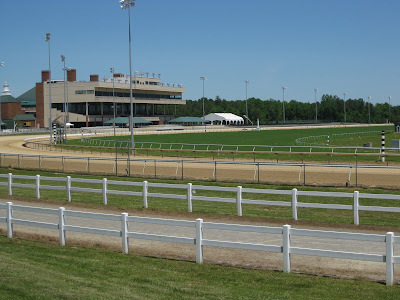 Laurel Race Course, 12/18/2010, mdn clmg, $5,700, 6 f, 1:14.00. 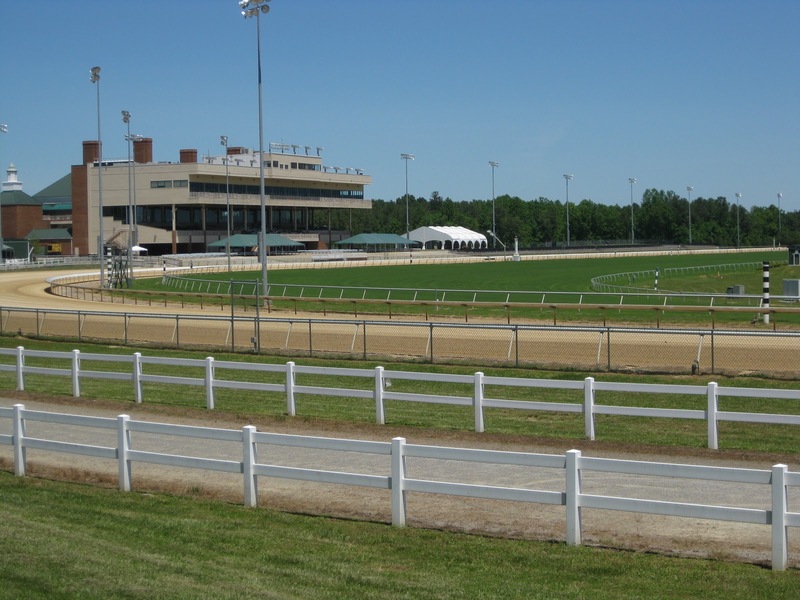 COLONIAL DOWNS 2011: MORE OF THE SAME OR SOMETHING DIFFERENT? 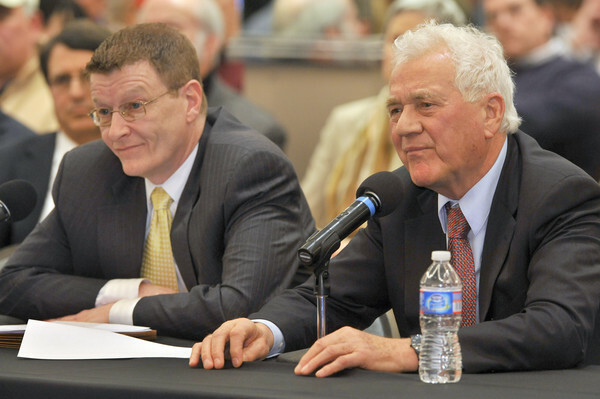 Last week, the Virginia Racing Commission held their December meeting. This is the meeting where the live racing calendar is supposed to be approved by the VRC. Problem is it almost never is due to one thing or another and this year is not different. DEAL OR NO DEAL FOR RACE DAYS IN MARYLAND? 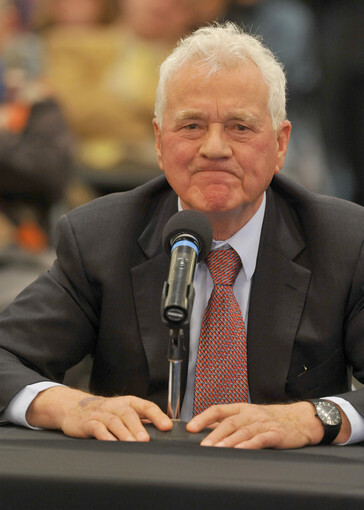 According to the Baltimore Sun, on the eve of the last scheduled racing commission meeting of the year, the owners of Maryland’s two major thoroughbred tracks and the horsemen remained at odds over live racing next year.